NFL: How Will Roger Goodell’s Job Security Be Affected by Deflategate? NFL Commissioner Roger Goodell was met with an onslaught of boo birds from the fans in attendance every time he made his way to the podium inside of Auditorium Theater during the 2015 NFL Draft in Chicago. Likewise, a poll of 300 active NFL players in 2013 suggested that he’s not a very popular person among the league’s players, either. Sixty-one percent of the players who were polled said that they disapproved of the job that Goodell had done up to that point. Had it not been for the growing worldwide popularity of the NFL, that number would have been even higher. On September 1 of this year, Goodell will have held the position of NFL Commissioner for nine years. For the vast majority of his time in office, his main supporters have been the owners of the 32 NFL teams. In fact, the owners have been practically the only people in Goodell’s corner since he took over for Paul Tagliabue. One of his biggest backers, on both a personal and professional level, has been New England Patriots owner and CEO Robert Kraft. At least that was the case until the NFL handed out its punishments for the Deflategate scandal to Kraft’s team and quarterback Tom Brady. The NFL, with Goodell as its public face, flexed its muscles on Monday afternoon suspending Brady for four games without pay, fining the Patriots $1 million, and docking New England a first round draft pick in 2016 and a fourth round draft pick in 2017. As expected, Kraft was not pleased with the ruling. One fellow NFL team owner even went as far as telling Mike Freeman of Bleacher Report that the once strong relationship between Goodell and Kraft is now “pretty much dead.” With one of his biggest allies and best friends in the league now merely an acquaintance, and possibly even an enemy, is there a chance that Goodell’s job as NFL Commissioner could be in jeopardy? There is no doubting that Kraft has taken care of Goodell during his time in office. 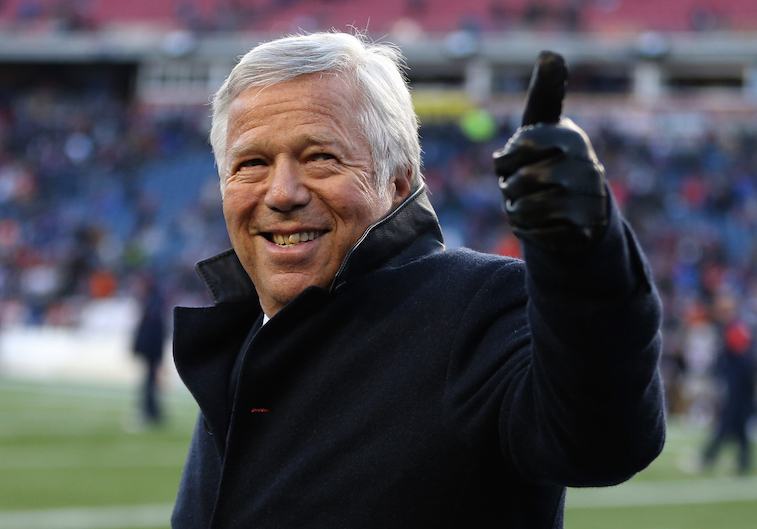 Kraft is, after all, on the NFL’s Compensation Committee, and played a major role in the league inking Goodell to a seven-year contract worth $44 million per year in 2012. Needless to say, Goodell just severely bit the hand that feeds him. The 32 NFL owners are the only essentially Goodell’s direct bosses. They voted him into office, and they also hold the power to vote him out of office. 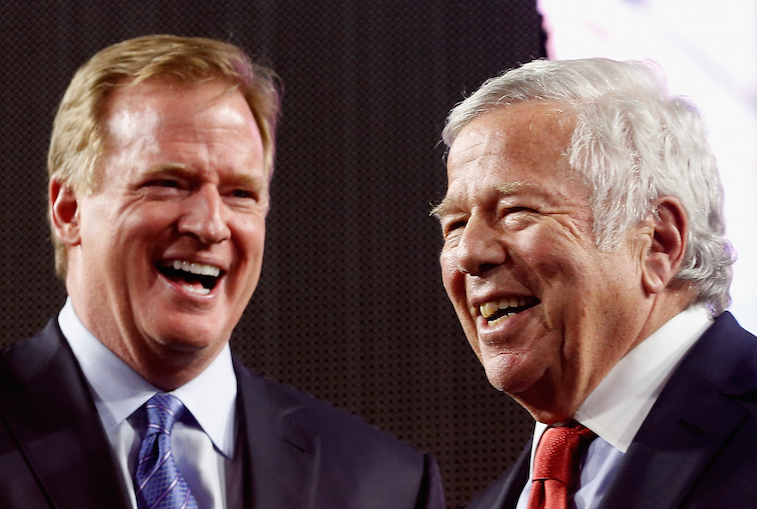 Without Kraft behind him, Goodell’s standing with the NFL owners just took a major blow. More over, if Kraft were so inclined, he could realistically start a campaign to rally the other 31 owners around the league to vote Goodell out of office. Only time will tell how this situation plays out, but the derailment of the relationship between Robert Kraft and Roger Goodell points to Goodell’s time as NFL Commissioner coming to an end when his contract expires in 2019.